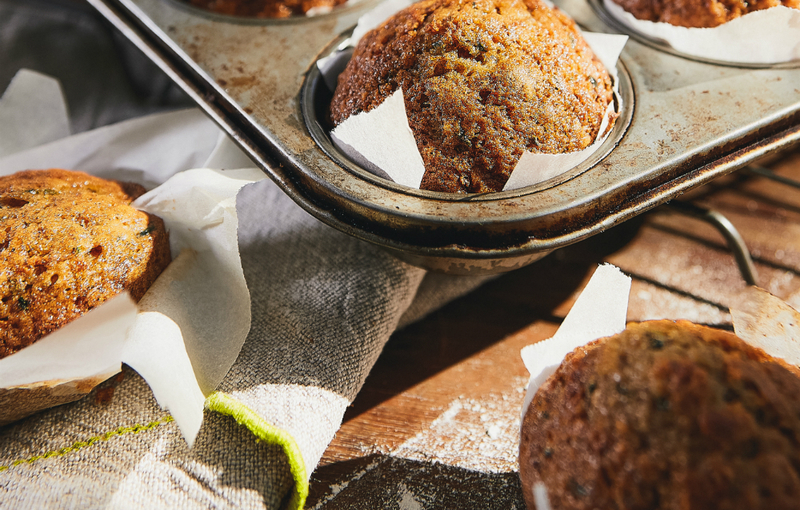 This recipe is best baked in small muffin tins. It is a lovely sweet dish for a festive morning tea. Serve with fresh fruit. 3. Mix the eggs, sugar, oil and vanilla essence in a large bowl, then add the zucchini. 4. In another large bowl, mix all the dry ingredients together with a fork. 5. Add the zucchini mix to the dry mix and gently combine. 6. Line the muffin trays with baking paper, or grease with a light coating of butter. 7. Pour the mixture into the muffin trays, three-quarters full for each basin. 9. Remove onto a wire cooling rack. Allow to cool then serve on platters.